Encompassing the sounds of five continents and several centuries, Ratliff’s book is an artful work of criticism and a lesson in open-mindedness. 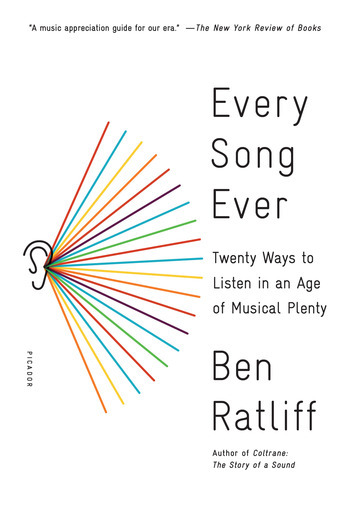 It is a definitive field guide to our radically altered musical habitat. Ben Ratliff has been a jazz and pop critic for The New York Times since 1996. He has written three books: The Jazz Ear: Conversations Over Music (2008); Coltrane: The Story of a Sound (2007, finalist for the National Book Critics Circle Award); and Jazz: A Critic's Guide to the 100 Most Important Recordings (2002). He lives with his wife and two sons in the Bronx.